The quality of cashmere depends on the fineness of the hairs on the fiber as well as the length of those hairs. 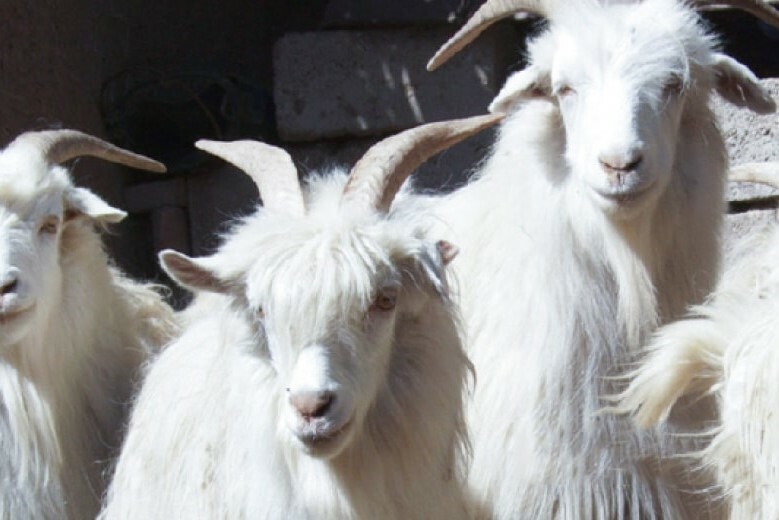 The highest-grade cashmere can cost 15 times as much as lambswool. The top-grade cashmere is bought by European and American luxury brands and Japanese companies. Being very keen on quality, UTO is one of the Japanese firms that purchase only the best cashmere. Is it really 100% cashmere? For cashmere to become a final product, it has to go through many processes, people, and companies. Since cashmere hair cannot be harvested in Japan, raw material importers conduct inspections every time containers arrive from abroad. If someone were to mix any foreign materials, it could be done only when the cashmere was still in the “fleece” state. The exporter also makes sure other articles are not included. Even with such thorough examination, it could happen that a tiny piece of fiber from the rope tying the cashmere falls into a container and makes the whole lot 99.9% cashmere. However, it is impossible to have less than 99% purity unless it is intentional. The law in Japan allows for error up to 3%, but when cashmere is sourced from a trustworthy seller, a 3% difference will never occur. There was a big news story in Japan in 2008 that some “100% cashmere” tags were misleading. Because cashmere is expensive, some people are just tempted to lie about its purity. We also heard that there are cases in which the samples sent were pure cashmere, but the actual products were not. We can never be too careful about purity inspection. In the past, UTO had a product presentation event with Mitsukoshi (one of the oldest and largest department stores in Japan) to introduce Alashan Cashmere products. With Mitsukoshi buyers, we made a trip to Inner Mongolia and visited a family who owns cashmere goats so we could better confirm traceability. 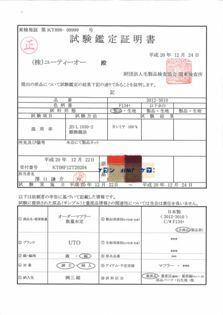 On top of that, we had the cashmere inspected again when it was delivered to Japan, and we obtained a cashmere authenticity certificate. UTO products are almost all cashmere knitwear. If we became implicated in fake cashmere scandals, we could lose our business entirely. Therefore, we buy our cashmere only from people we trust and do not engage in any suspicious deals. In Japan, the organization to certify the purity of cashmere is called “KE’KEN Textile Testing & Certification Center.” It authenticates cashmere purity with the best measurement ability for animal hair investigation in the world. It is quite costly to get authentication. However, we believe the process is essential for the customer and for us to protect from possible fraud.